I cannot stop hearing bells ring that are declaring over the nations of the world that “God is not dead, nor does He sleep!”. There is no need for fear or despair because our God is alive and awake. The next line says, “The wrong shall fail, the right prevail…” This is also a declaration that I believe Heaven is declaring today. 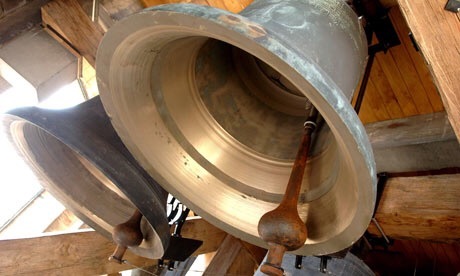 Will you declare it with the angles and with these Heavenly bells. The right will prevail! I declare this over the United States, over the nations that are in chaos, over the families throughout these nations and over you! If you have a bell then begin to ring it and if you have a voice begin to sing it. It ushers in “Peace on Earth good will to men”. On a side note; my husband walked into the room while I was writing this and I shared with him what I was writing and he immediately said, “That is the song that I wrote about on our website article today.” (for our “25-Days of Christmas” series). I was shocked. This truly is what God is ringing out today. Join in the song. I saw about the cross but didn’t see that bells were rung! That is so amazing! !